I think it's really heartbreaking. 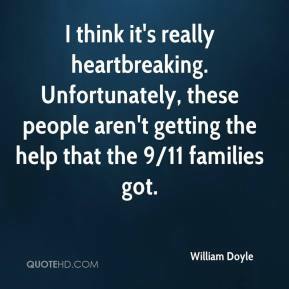 Unfortunately, these people aren't getting the help that the 9/11 families got. 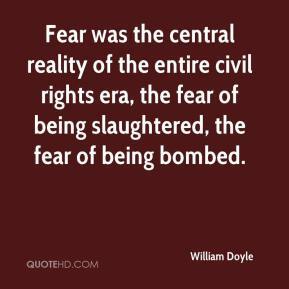 Fear was the central reality of the entire civil rights era, the fear of being slaughtered, the fear of being bombed. A lot of families are incensed by this, because you're talking about the safety of the country. 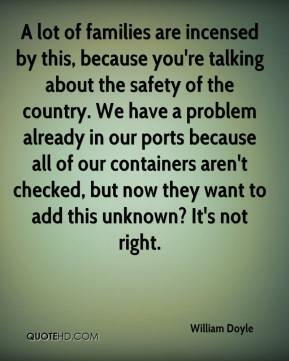 We have a problem already in our ports because all of our containers aren't checked, but now they want to add this unknown? It's not right. 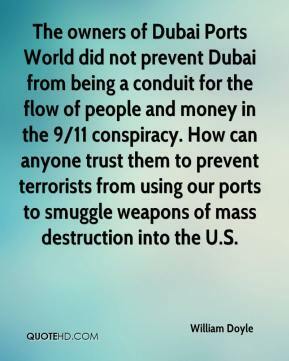 The owners of Dubai Ports World did not prevent Dubai from being a conduit for the flow of people and money in the 9/11 conspiracy. How can anyone trust them to prevent terrorists from using our ports to smuggle weapons of mass destruction into the U.S.